Solution 2.0 is a platform within the Teijin Group used to leverage the expertise and know-how across the Teijin Group to deliver innovative end-user solutions in cooperation with external parties. For over 100 years, the Teijin Group has succeeded in bringing innovative solutions to the market. To continue these positive social contributions, since 2013, the Teijin Group has actively captured value from the final stage of the chain, the end user, through its Solution 2.0 platform. Specifically, Solution 2.0 works by identifying the unmet needs of end customers where the Teijin Group could make a positive contribution. These unmet needs are identified by looking at trends and developments in the core areas: Safety, Security and Disaster Mitigation Solutions, Environmental Value Solutions, Demographic Change and Increased Health Consciousness Solutions. The Solution 2.0 team applies an entrepreneurial start-up approach within these market areas, identifying ways to add value to the customer. Once an unmet need has been identified, the Solution 2.0 team will coordinate the required parties to develop ground-breaking solutions. The Solution 2.0 team uses eco economic tools and advanced data analysis and works with many different entities, including the different companies in the Teijin Group, various knowledge institutes, international trend-setting companies, customers, and, most importantly, the end users of the solutions. 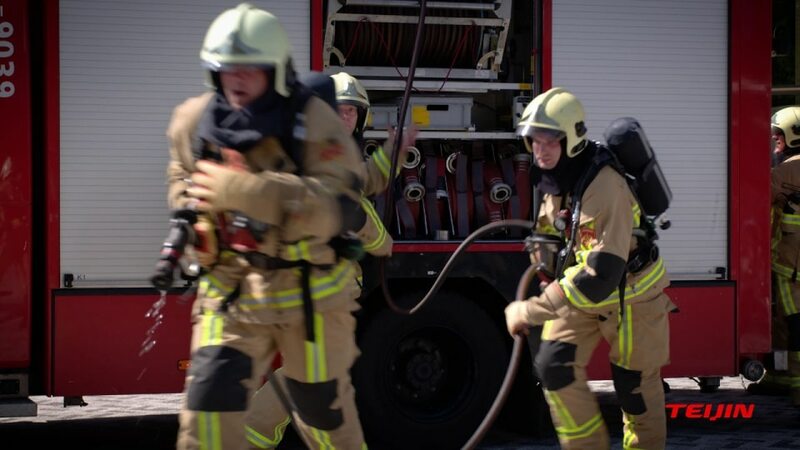 Examples of the successful initiatives of Solution 2.0 include the smart car seat “Sentaz” (www.sentaz.com) and cooling textile solutions for Firefighters. Contact us for more information!